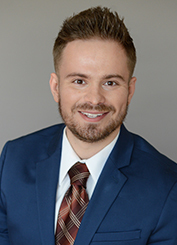 Mr. Juncaj is a Sales Associate in L. Mason Capitani CORFAC International’s Office Properties Division. He specializes in the leasing and sales of office, medical and retail properties in Macomb and eastern Oakland Counties. Mr. Juncaj is entrepreneurial in spirit. He entered the business world at the age of 22 when he founded and operated a successful commercial cleaning company. His previous work experience taught him to listen to the needs of his clients. This experience has provided the foundation for his approach to commercial real estate brokerage. Mr. Juncaj attended Macomb Community College where he majored in Business Management.